The Federal Reserve (the Fed) is charged with managing the U.S. money supply and keeping inflation in check. Increasing the money supply (i.e., printing money) is intended to spur economic growth. Additional money is supposed to make it less expensive to borrow, thereby encouraging investment and growth. It also devalues the dollar against other currencies, which should increase exports by making American goods less expensive to buy internationally. The Conference Board includes the Federal Reserve money supply as part of its composite index of leading economic indicators. Bankers, economists, currency traders and exporters are particularly tuned into the supply of money in the financial system. The discount rate is another primary tool the Fed utilizes to achieve its objectives. The discount rate is the interest rate the Fed charges other banks to borrow from it. If banks are in the business of lending money, why are they borrowing from the Fed? It’s called leverage. Being able to borrow money from the Fed allows banks to leverage their deposits and loans. Banks only keep a fraction of the money deposited to them on hand. The rest is loaned out. However, if you want your money, they have to be able to pay you when you to withdraw it. The ability to borrow from the Fed allows banks the ability to keep fewer reserves and lend more money. Consequently, the discount rate affects the interest rate banks charge you to borrow money. In general, the Fed increases the discount rate when the economy is doing well. Raising the interest rate slows growth, which is intended to keep inflation in check. Furthermore, in good economic times, people don’t need as much of an incentive to take risks or borrow money and are willing to pay a higher interest rate to access capital. Conversely, in recessionary times, the Fed will reduce the discount rate to lower lending rates and spur economic growth. If you study the history of the Fed discount rate, you’ll see increases during periods of economic prosperity and rate cuts during recessions. The size and timing of the rate cuts or increases are indications of the economic conditions. This is evidenced in the Fed discount rate over the past two years. The Fed dropped the rate seven times in 2008, reducing the rate by 0.75% three times. The rate was 0.5% at the end of 2008, and hasn’t been that low in over 30 years. This is an indication of the severity of the current recession, as if you needed another sign. The Fed raised the rate 0.25% in February 2010, on signs the economy was strengthening. However, the Fed has indicated that it doesn’t expect any rate increases for an extended period of time. With rumblings that the recovery is slowing, the Fed may be pushed to lower the rate once again, but it doesn’t have much further it can go. You don’t have to wear yourself out trying to understand monetary policy, money supply and inflation factors. If you want to get a quick synopsis of the Fed’s current view on the economy, just watch their action on the discount rate. No change means you can expect things to stay the same for a while. A reduction is a sign of trouble, and an increase is an indication that things are getting better. With the Fed saying that they expect to hold the discount rate static for an extended period of time, you can expect the economy to continue to slog along. It may not be great, but hopefully it doesn’t get worse. Real Estate has become a major component of wealth and the economic engine of the United States. A robust construction and real estate sector fueled economic growth for over a decade. The true significance wasn’t understood until the housing market started to unravel in 2007. Delinquent mortgages and foreclosures nearly collapsed the world financial system. Plummeting real estate values, and the related property taxes, have created substantial fiscal challenges for state and municipal governments. And… the dramatic reduction of new construction projects has rippled throughout the economy… in a harsh manner. Consequently, the number of new housing starts is a closely monitored statistic. The Conference Board’s composite index of ten economic statistics, includes housing starts. Their number includes both permits and the actual start of construction for single-family housing units. Real estate activity comprises nearly 10% of GDP. The current real estate crisis therefore is contributing to the continued economic recession, and its slow recovery is one of the reasons that the economy is not likely to rebound anytime soon. 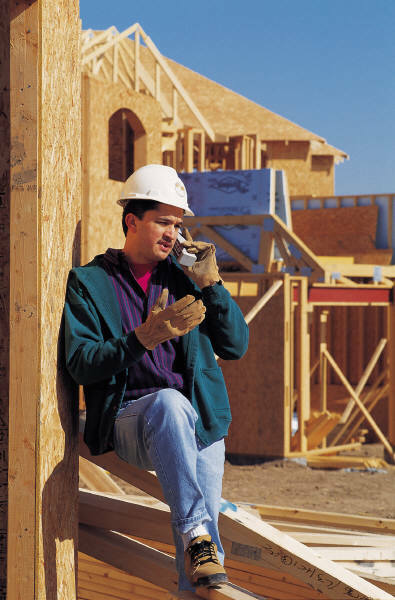 New home construction affects many areas of the economy. The most direct impact is on building supplies and labor markets. I recently heard one analyst state that the U.S. manufacturing jobs lost over the past two decades essentially transitioned to construction jobs. This statement seems to be validated by the unemployment rates of the states hardest hit with distresses properties – Arizona, California, Florida and Nevada. All except Arizona had unemployment rates well above the national average. Consumer spending also accounts for 70% of GDP. While it may not be easy to measure, new housing indirectly affects consumer spending. Appliances and fixtures are often part of the new home cost. However, there is a lot of indirect spending related to occupying a new home. If you’ve ever moved into a new home, you know the amount of money you spend for new drapes, curtain rods, furniture and décor decking out your new digs. In short, new housing construction is significant in the overall contribution and strength of the current U.S. economy. The glut of existing homes on the market, combined with a tight credit market and millions of Americans with poor credit, doesn’t create an environment conducive for new housing construction. Therefore, do not expect to see any significant improvement in new housing starts anytime soon. As such, the road to economic recovery will likely be longer and slower as a result of the lack of new housing starts. The unemployment rate is probably one of the most frequently talked-about economic statistic of 2010. Despite all of the discussion and efforts to put people back to work, the rate has hovered between 9.5-10.0% all year. What can you interpret from the unemployment rate? Bottom line: If you’re unemployed and looking for a job, any number is too high. Aside from that, the rate means little by itself, but it can be useful in understanding the economic conditions when the rate is increasing or decreasing; the percentage change; and assessing the general sentiment of economic conditions. Did you know that the unemployment rate is only an estimate? The rate is calculated from two monthly surveys. One is a survey of 60,000 households seeking employment information about the inhabitants. The other is a payroll survey of 140,000 employers, who are required to report certain payroll information. Statisticians will contend that survey samples of this magnitude are extremely reliable. They may be correct, but it’s still only an estimate. The process is even further complicated by adding the seasonally-adjusted factor. What’s that? It’s a statistical adjustment that is applied to the raw data to account for things like holidays, the effect of inclement weather or highly seasonal businesses (think beach and ski related industries). The unemployment rate is often thought to be a leading economic indicator, but it’s not included in the Conference Board’s composite index of ten economic statistics. Instead the Conference Board looks to the average manufacturing workweek and the number of initial jobless claims to determine the direction of the economy. Beyond the initial jobless claims, I believe that the number of jobs lost or created in a given period is a good indication of economic direction and health. Adding jobs is a good sign, and job losses are troublesome. Taking it a step further, you should look at the types of jobs being added or lost. This secondary level of analysis led to a lot of discussion in the summer of 2010. The unemployment rate dropped and the number of jobless claims declined, but it was primarily due to a substantial increase in temporary US census workers. The rate has subsequently crept upward over the past three months, as those workers have been terminated. Public sector jobs are considered good jobs these days. Base pay has increased to be more on par with the private sector, the benefits are usually quite generous, and there is generally better job security. Government jobs may be good jobs, but they aren’t a sign of a robust or healthy economy. An increase in full-time private sector jobs is an indication of economic growth and stability. Private sector job growth has been anemic over the past two years, which has led to a tepid outlook on the overall economy. Changes to the unemployment rate make great news headlines and political fodder, but it’s probably not the best indicator of economic health or direction. The number of jobs lost or created in the private sector is probably a much better measure of what’s currently happening in the economy, and what’s about to happen.